I wanted to tell you about my Miscarriage and Contradiction Prophecy, a prophetic word that seemed to bring hope only to crush it. But in the midst of what I have and continue to go through that prophetic word that God gave me is a great thing to cling to even though my circumstances declare the opposite. Mostly I cling to His love and sovereignty throughout this. I recently miscarried. I was 13 weeks. The moment I found out was one of the most painful of my life. Staring at the huge monitor at the image of the ultrasound, searching desparately for anything that looked like a baby but only seeing a white blob of a fetus that stopped developing at 7 weeks. Hearing the words “I’m so sorry.” I was crushed. The next week was difficult, the D & C, the physical pain of miscarrying (which is like a slow labor drawn out over many days)… I ordered myself a necklace that said “And If Not, He is Still Good.” A sort of memorial and reminder. I trusted in God’s plan, in His love and His wisdom more than my circumstances and my emotions. This was an amazing step in my walk with the Lord. That Sunday driving to church I was flooded with incomprehensible joy. I knew that there would be a greater reward for this suffering. I thought maybe I could ask the Lord now for another pregnancy to be twin boys??? At church during worship, I was able to sing loudly that He was good. I worshipped Him sincerely with all my heart. It was an amazing feeling and a great honor to praise God when my circumstances said I should doubt His goodness. It was possibly the greatest feeling of my life. During a phone call with a Christian friend that week I got a word that “my heart had expanded and it couldn’t/wouldn’t go back”. My friend had told me she had prayed before asking God to give her what to say to me. During church that Sunday, my friend told me something similar “your heart has been enlarged and it won’t go back.” She said, “I see it along with the scripture “enlarge your tent”. Little did she know, that God had been highlighting this scripture from Isaiah 54 over and over. “Enlarge the place of your tent, and let them stretch forth the curtains of your habitations; do not spare: lengthen your cords, and strengthen your stakes. I had thought that God was talking about the house we were planning on building. We are home builders. We had just started the process of building our third house which we planned on being our “forever home”. We are squeezed into a 3 bedroom apartment right now. As we started planning building our next house, suddenly things shifted, and before we knew it we were planning on building a MUCH bigger house on a MUCH bigger lot. It felt like we were caught up in a sovereign whirlwind to both my husband and me. So, we just went with it. It could be that this was all that God was speaking to me about with this verse, but why now were people giving me this verse pertaining to my miscarriage and my heart? To make things more strange, the next Sunday …Mother’s Day…after the sermon the pastor said, “I feel like I got a word to pray for miscarriages and healing.” A few of my friends at church gathered around me and one of them began to speak Isaiah 54:2 over me during the prayer. Enlarge the place of your tent…make room…lengthen your cords… Why was I getting this word over & over? I had great hope that I would be pregnant again soon and that maybe God would fill my womb with twins or something. God was giving me great hope to prepare me for a moment of crushing again. Later that week I found out that I would not be pregnant again soon. I couldn’t. My miscarriage had been because of a molar pregnancy. My D & C revealed that the material that was removed was cancerous. I would have to be tested weekly and then monthly having my HCG levels monitored to ensure that no cancer remained. Pregnancy would not be safe again for 6 months to a year. A year was recommended to be safe. I felt crushed all over again. And that this miscarriage process would NEVER be over. I forgot. The few times that I have experienced strong prophetic words in my life, they had almost always been followed by some severe blow that seemed to completely contradict that word. Anyone else experience this? I think Graham Cooke has spoken on this before. He called it the Law of Contradiction. It happens often times that you get a prophetic word, and then BAM! the exact opposite happens. Now my HCG numbers are going down. Praise God. They will probably be to zero this week. I am going through the confusing process of trying to prevent pregnancy when my strongest desire is to be pregnant again. This after only just 5 months ago my strongest desire was to never be pregnant again. Again God brings me back to the simple truth, that all He wants is relationship: for me to love Him and feel His love for me. Every experience, every hope and dream, every trial and triumph is to grow me deeper in this relationship, this love. That’s the whole point of everything that has happened and will happen in my life. Fit, Fat, Fun Pregnancy - What's Your Pregnancy Style? Thank you very much for sharing your sad experience . It has brought so much hope and a meaning to my situation. 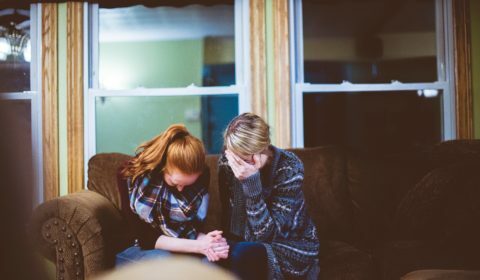 I recently miscarried at 10 weeks; when the miscarriAge was still threatening; my family of pastors hAve prayed and prophesied that God will not allow it to happen and it did.being a pastor myself whose leading a ministry I was left empty with questions like why me God; how will I be able to encourage others to trust God if I have failed MYSELFT. If felt like I hAve failed to frizt God enough to prevent this… a week after my miscourage I got involved in a car accident and my car got badly damAged and me hAving no insurance; and a week after my work contract got terminated…. I still don’t have time to process all these circumstances but I am leaning on God for strength… at times we can’t clearly understand what God teaching us through pain but we can only trust His faithfulness. I am not healed as yet but I take it each day at a time. There is a verse that says God comforts us SO that we can comfort others with the situation-specific comfort we received (2 Cor 1:4). Someday you will be able to comfort others that are going through the same pain with God’s faithfulness. Press into his comfort. I pray grace, increasing faith, healing, strength, and revelation of his powerful love for you. In Jesus name.